If you are going to kick start a successful local store marketing initiative, you might as well start with a bit of reading on the subject. Below is a list of some of the top local store and restaurant marketing books out there, in no particular order. Not all are perfect but everyone of them has some LSM insight worth knowing if you have sometime on your hands. Build sales and grow your customer base by using these 50 Local Store Marketing ideas assembled over many years in a variety of restaurant, café and QSR concepts. This guide will help you develop a customized LSM plan that is cost effective, easy to implement and a solid return on investment. Local Store Marketing is key to the success of any local business, restaurants and other food service businesses in particular. Learn the ways you can engage your local community in your business. 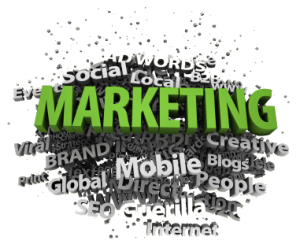 The right and wrong way to start a local marketing campaign or promotion. Not only does this guide offer 50 LSM ideas, it explains them in detail and how to implement. Not all ideas are suitable for every business but you are certain to find some great ideas that will work for your business. Thousands of small, retail stores open every year, but 70 to 80 percent of them close within five years. Many are done in by the big box and Internet retailers who crush competition with low prices and convenience. But smaller retail stores and service providers have distinct competitive advantages: They are local. They can connect on a personal level with customers in a way the big guys can’t. And they can add immense value to the customer experience. To capitalize on these advantages, marketing experts Steve O’Leary and Kim Sheehan offer dozens of inexpensive Word of Mouth marketing methods small businesses can use right away. Done well, these efforts will help smaller merchants do more than survive—they’ll prosper. For independent retailers to succeed, it is no longer enough to create a loyal customer base. Local store marketers need to put their loyal customers to work, encouraging them to talk about the store to their friends, family members, and others in their social networks. When they do, the result is Word of Mouth (or Buzz) marketing, a powerful tool that creates an army of advocates who become even more loyal and help attract new customers. Besides learning how to leverage the power of word of mouth marketing, readers will learn: -How to understand their customers better. -How to increase customer loyalty to their store. -How to communicate with customers to maintain loyalty. -How to encourage loyal customers to talk to others about their store. -How to create a customer community, both in the store and on line. -How to measure results. The book also includes numerous examples from current businesses, as well as thought-provoking ideas and templates to help readers generate their own successful buzz marketing plans. Most resources available today on buzz marketing focus on techniques for large companies and online retailers. This book offers something priceless for the little guy by showing ways to increase loyalty and gain new customers. Master word of mouth marketing with this fun, practical, hands-on guide. With straightforward advice and humor, word of mouth expert Andy Sernovitz will show you how the world’s most respected and profitable companies get their best customers for free through the power of word of mouth. Find out what sparks the irrepressible enthusiasm of Apple and TiVo fans. Understand why everyone is talking about a certain restaurant, car, band, or dry cleaner — and why other businesses and products are ignored. Discover why some products become huge successes without a penny of promotion — and why some multi-million-dollar advertising campaigns fail to get noticed. Open your eyes to a new way of doing business: Honest marketing makes more money, because customers who trust you will talk about you. Learn how to be the remarkable company that people want to share with their friends. This concise, information-packed booklet takes you step-by-step through the process of creating a marketing plan for your locally-focused small business, then offers specific ideas and methods for marketing through different media, and for different business types from manufacturing to retail. 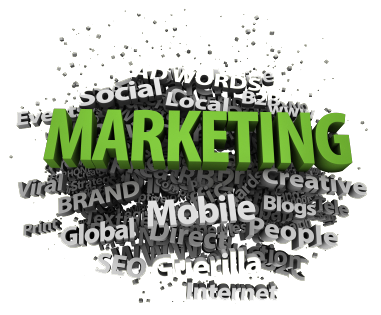 While information about online marketing is included, it’s only one of the many marketing strategies and ideas you’ll find here. This book was created for the 90 percent of small business owners who reportedly are dissatisfied with the results they get from local advertising. If followed, these rules, among them don’t ask your customer what brought them in, demand absolute accountability, and sell something more profitable than a low price, will broaden the customer base and enhance the bottom line. Specific growth objectives for advertising expenditures and the development of a system of absolute advertising accountability make this book distinctive. Business owners will learn to use advertising money wisely for maximum profitability. The small business guru behind Duct Tape Marketing shares his most valuable lesson: how to get your customers to do your best marketing for you. The power of glitzy advertising and elaborate marketing campaigns is on the wane; word- of-mouth referrals are what drive business today. People trust the recommendation of a friend, family member, colleague, or even stranger with similar tastes over anything thrust at them by a faceless company. Most business owners believe that whether customers refer them is entirely out of their hands. But science shows that people can’t help recommending products and services to their friends-it’s an instinct wired deep in the brain. And smart businesses can tap into that hardwired desire. –Talk with your customers, not at them. Thanks to social networking sites, companies of any size have the opportunity to engage with their customers on their home turf as never before-but the key is listening. –The sales team is the most important part of your marketing team. Salespeople are the company’s main link to customers, who are the main source of referrals. Getting them on board with your referral strategy is critical. –Educate your customers. Referrals are only helpful if they’re given to the right people. Educate your customers about whom they should be talking to. The secret to generating referrals lies in understanding the “Customer Referral Cycle”-the way customers refer others to your company who, in turn, generate even more referrals. Businesses can ensure a healthy referral cycle by moving customers and prospects along the path of Know, Like, Trust, Try, Buy, Repeat, and Refer. If everyone in an organization keeps this sequence in mind, Jantsch argues, your business will generate referrals like a well-oiled machine.